all conditions and particularly in races. More important, we will compare them to the other high end wheels of the market. from over a decade of experience and evolution: the design and manufacture really seem to have reached the limit of what’s possible and the finish is close to perfection at each level. finish like fine China porclein. No screws, no traces of glue, no aesthetic default, every part is meticulously well finished. It’s clear a lot of care goes into making them. finished too, they are refined, elegant in some ways! And it’s worth mentioning: the Obermayer wheels have their rims miror finished (see this article). The standard version rims are mat but beautiful too. everyone raved about their lateral stiffness. than the Obermayer of our last test, but the stiffness to weight ratio is far better, and we can feel it from the first meters. During a race, the sprints are a pleasure to perform since there does not seem to be any power loss. As long as you have the watts, the wheels will transform it into speed. The « standard » are race wheels, for racers. They do not allow the lack of shape. The lightweight are aerodynamic. 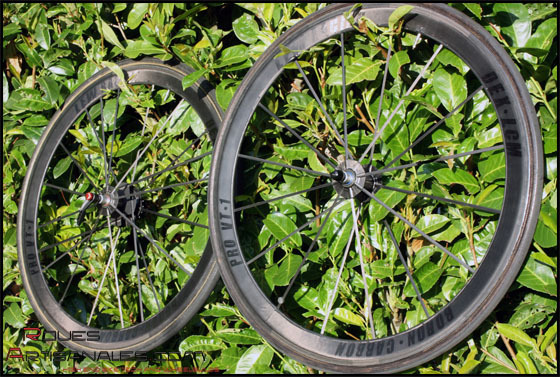 The 53mm rim and the oval spokes make them very fast under normal conditions. We invite you to have a look at this wind tunnel test article: here. gets used to it quickly and keeps a good hold of the bars. Nevertheless, sudden gusts can be much more dangerous because the rider may not really hold the bars securely and it makes him change direction. These hoops are great under normal conditions but they require a lot of care when the wind blows. 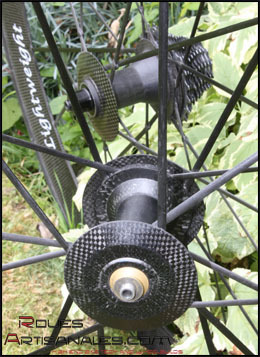 In descents, we realised the Lightweight wheels tend to pull the bike to the exterior of the quick corners. It’s as if they refuse to corner and prefer to continue in a straight line. According to some specialists, the shape of the rim, slightly curved, and very deep, is responsible for this phenomenon. In high mountains, it could slow you down. 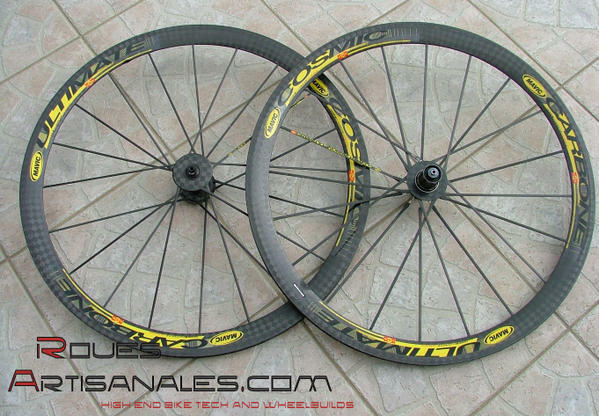 Carbon-Sports designed in 2005 a flat rim: the ventoux, to eradicate it and significantly reduce the lateral wind sensibility. They’ve been on sale since 2006.
the best out of them. 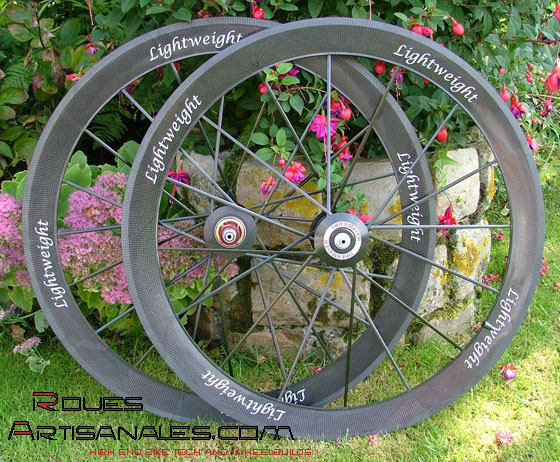 Under this weight, the best solution is to go to lighter, and a little flexier, gentler wheels. on the road as well as laboratory testing. The marks are given on a scale of 5. Higher is the mark, better is the performance. The scale of marks takes into account every wheels of the current market. NB: The rear wheel lateral stiffness reaches an outstanding value: 59N/mm under a 20kg load!